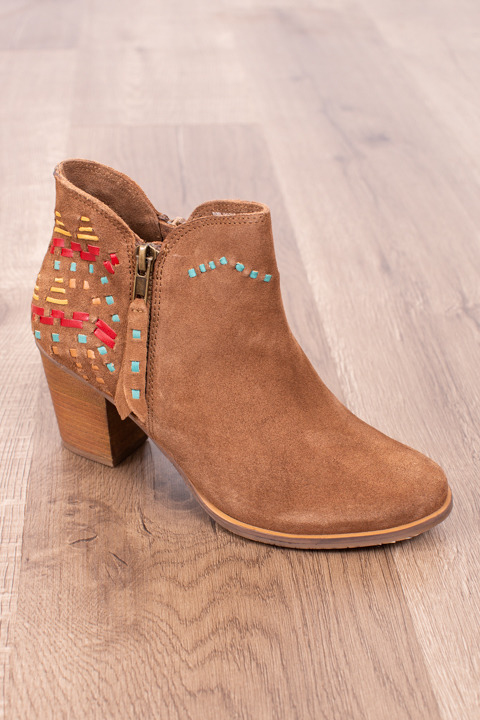 The Lupina bootie is brown soft suede with a peacock cut-out design on the back heel done in mustard, red and turquoise. 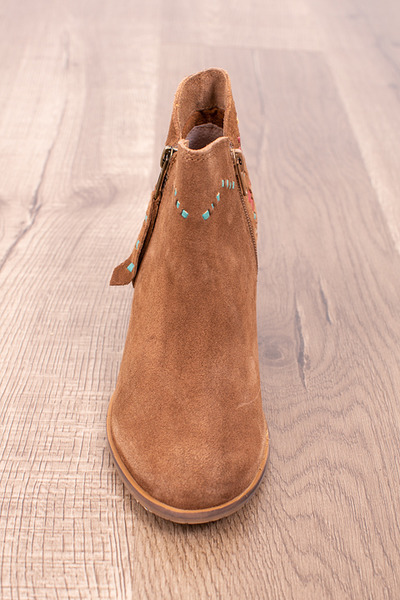 On the outer side of the boot there is a brass zipper closure with a suede tassel detail. 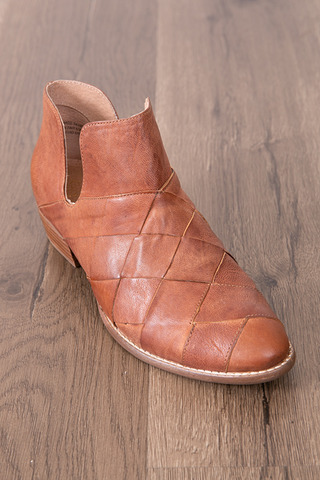 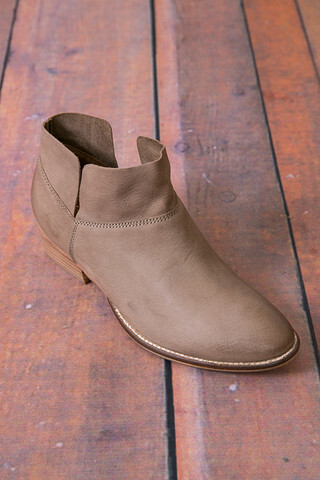 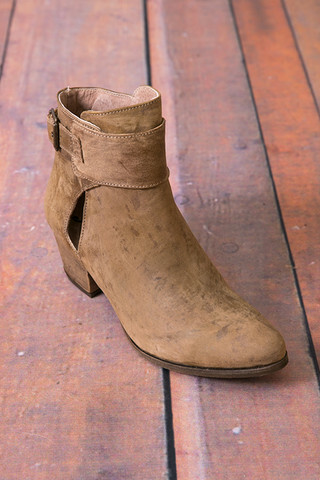 Pair this rounded toe back with your favorite jeans and a simple sweater for a cute little fall outfit. 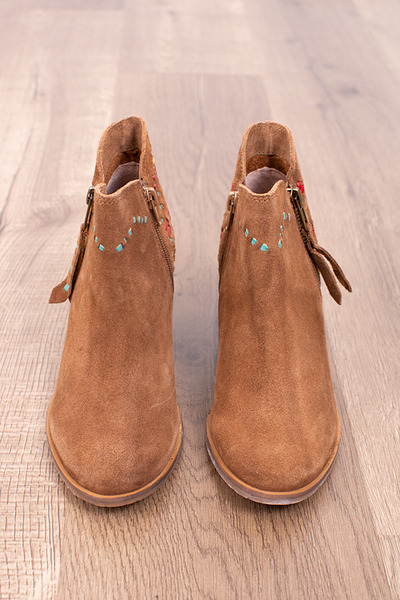 100% suede. 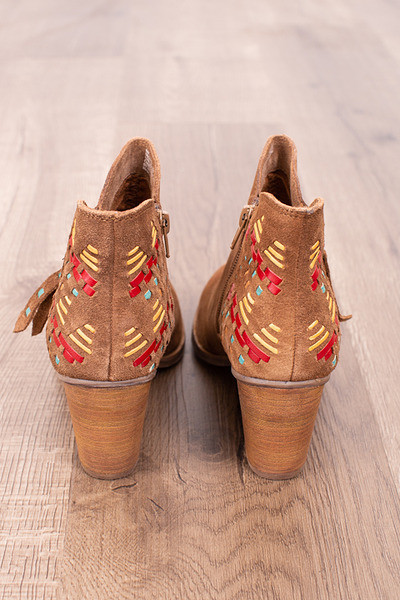 Made by Naughy Monkey.